Saturdays are the best time to roam with your friends and explore the world. Its the time to party with your friends. 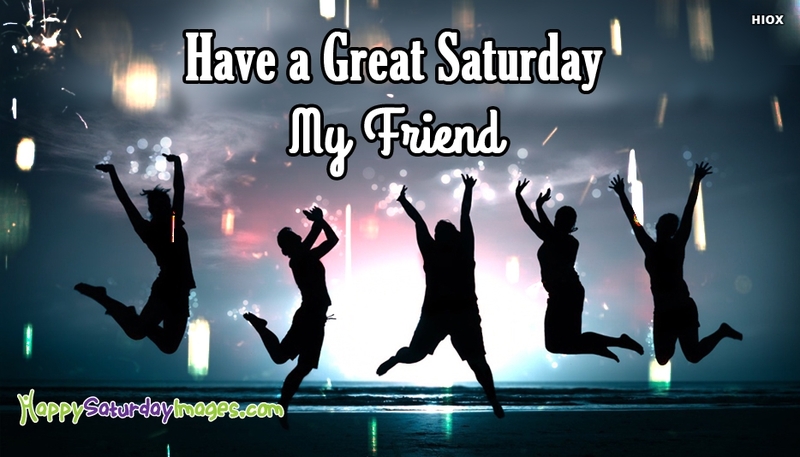 Remind your dear friend that its Saturday and the time to party, by sharing this "Have a Great Saturday, My Friend" picture with him/her. The picture shows a love image of a group of friends partying on a sparkling night.